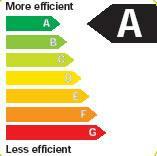 Energy efficiency rating is now one of the things that people pay attention to when they search for double glazing installers. This is because by switching your windows to energy efficient windows, you could be saving a lot of money on your household bills as well as energy itself. The British Federation Ratings Council is the UK glazing industry’s trade association, and its rating scheme uses energy labels much like those found on electrical appliances that use a lot of energy, like refrigerators. The energy efficiency rating goes from A to C, and you can rest assured that the windows found at Grace Windows will fare well in this rating system. They construct all the kinds of energy rating that you need, so you can know what kind you should buy in order to maximize the use of your energy efficiency doors and windows. Grace Windows © 2012. All Rights Reserved.